2. 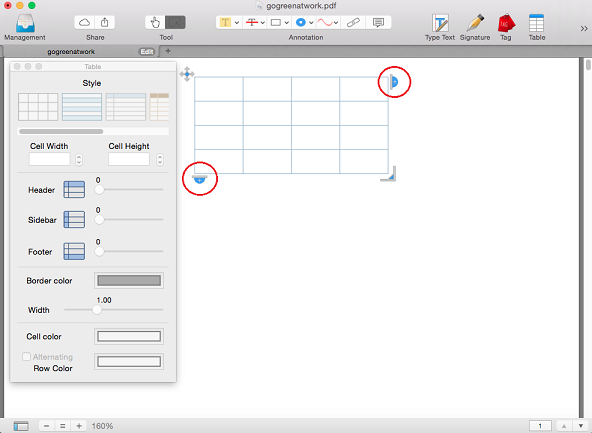 Click the table icon on the upper annotation toolbar to create a table of content. 3. 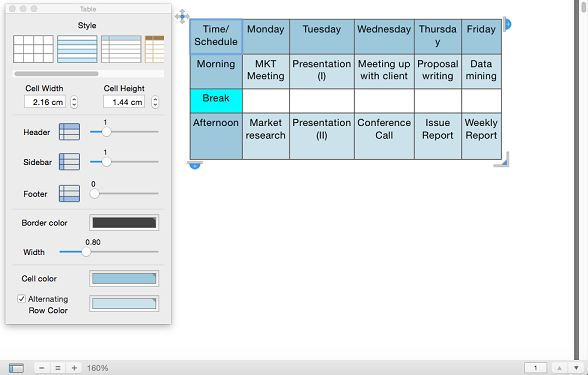 Click the buttons in the corner to add/remove rows and columns. 4. 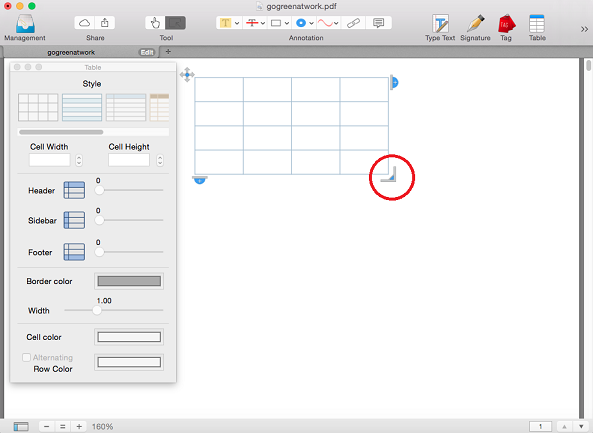 Click and hold the bottom-right corner to adjust the size of the table. You may also click and hold the top-left corner (diamond-look button) to move the table. 5. You may change the template, the headbar/siderbar/footer/row colors and the width/height to your liking.